"Alone on the Shore" opens the third album by Keith, the one name handle for James Barry Keefer. The shimmering pop that was created by Bobby Hebb producer Jerry Ross and arranger Joe Renzetti on the first two Mercury discs is replaced by original compositions and the arrangement of the meticulous Larry Fallon. Fallon is credited for arranging The Looking Glass hit "Brandy (You're a Fine Girl," however, he is the actual producer on that disc. He is one of the industry's underrated talents, and he allows Keith's band of David Jiminez (guitar), Joe Coyle (ryhthm guitar), Dave Fiebert (bass), and Rick Fox (drums) to experiment in ways that are admirable. This LP plays more like latter day Donovan, another one-name pop maestro. "Alone on the Shore" and "Trixon's Election" are heady pop tunes, maybe too deep for Top 40 at the time. Even Buffalo Springfield knew enough to temper their politics with radio friendly music. The sounds here are an intriguing mixture of '60s garage rock with British pop, flavors of The Beatles, The Small Faces, Kaleidoscope UK, and other psychedelic rockers. The production by Ted Daryll allows this group to stretch out. "Waiting to Be" is five minutes and thirty eight seconds of psychedelic jam. 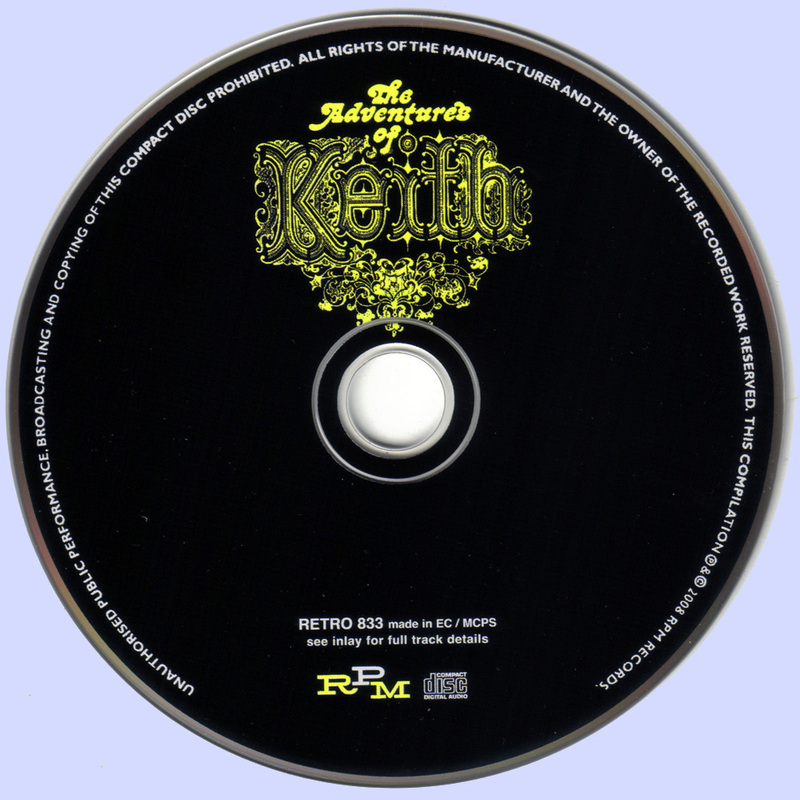 Keith wrote only one song on his second album, none on his first, so RCA Records showed some kind of faith in the artist allowing him to compose/co-write all ten titles on The Adventures of Keith. These are adventurous tunes, and worth listening to. It's a natural progression from the second album's Jimmy "Wiz" Wisner's (yes, the one and the same from Tommy James & the Shondells sessions), arrangement of the Spanky & Our Gang hit "Making Every Minute Count" to the short one minute and fifty six second "Melody," which begins like a track from one of the first two Keith albums, diving into the progressive nature of this recording, and back to the pop sensibilities of the first two LPs. "The Problem," which is the last song on side one, was issued as a single with the excellent "Marstrand," the first track of side two. "Elea-Elea" is another five minute plus track, and one of the album's standouts. 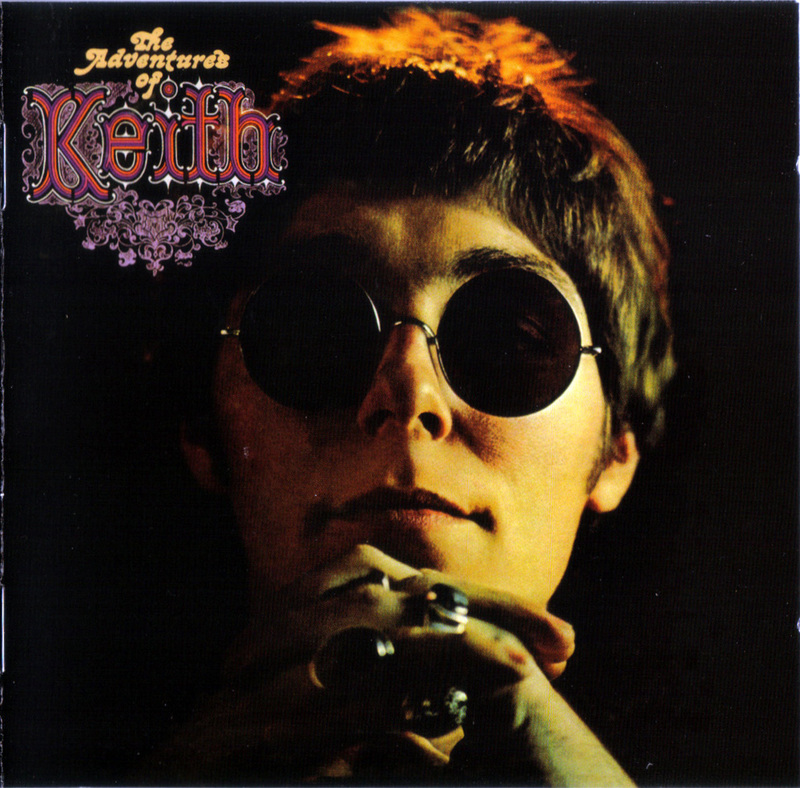 Great melody and all the indications that Keith should have been a major, major pop star. Where Donovan had Led Zeppelin performing on "Hurdy Gurdy Man" and the Jeff Beck Group behind him on "Goo Goo Barabajagal" helping churn out the hits, Keith and his band crafted an album perfect for FM radio, perhaps a bit ahead of its time for an artist known for covering the Hollies. 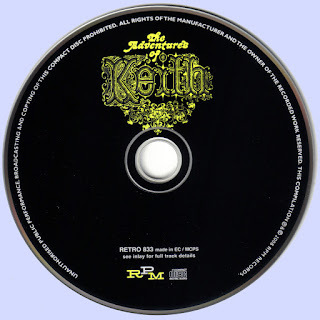 But Keith's musical direction here is impressive and reiterates how clever his three Top 40 hits prior to this release really were.